Also if you go to the Remington web sight there is no .38 match ammo. Everything else is the Hornady and Speers that I have; which is a lot. Anyone want to trade one for one of those messy Remingtons ? Jim I couldn't find them on Midway's site can you help with that ? I heard for DR the SWC is ok but the Rem round nose is better. I have zero SWC and they are pretty good but not as accurate a HBWC. Since my revolver shooting is DR I am using SWC's and they are not near as accurate as a swagged HBWC. +1 on the Magnus bullets. Just liked remingtons .360 diameter for revolvers. Can someone ID this brand 148? I have about 1000 of them. No brand on the box but feint labeling shows 148 HBWC from the 70s. Jack H wrote: Can someone ID this brand 148? I have about 1000 of them. No brand on the box but feint labeling shows 148 HBWC from the 70s. They look like Taurus made in Patersen NJ if that is the case they are very good. They used to make a 200gn BN SWC 45acp that was amazing. All swagged bullets. Does it look like the box was green and white? They look just like the old Speers that I have. Jack, send them to me and I will make positive ID. Only need 900 for lab testing. They look like Speer. james r chapman wrote: +1 on the Magnus bullets. have you tried Precision Delta ammunition? 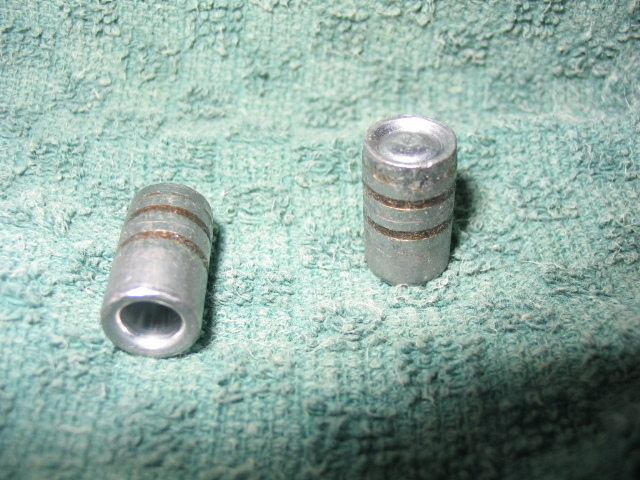 Their website states they use a swaged bullet and can be ordered with Federal primer for the lightened actions. Seems like I've heard PPC guys use their stuff. Hemphill was sponsored by them for a while. That's why ive held off getting any yet... They list them at .357 dia, and for the revolver, I was really looking for 358+ dia. Nope. Stars had a smaller dot and much more defined grease grooves. 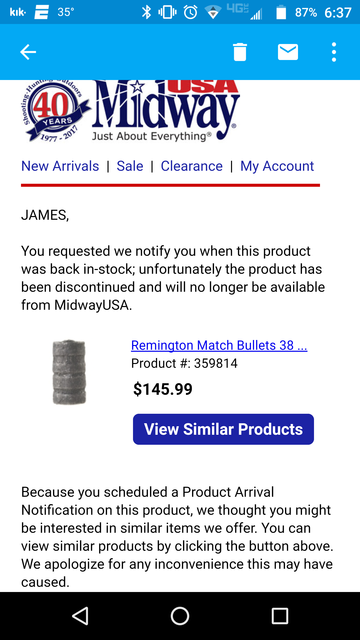 Also just fired off an email to Remington about there production of the HBWC's and their match ammo that they loaded those in. Received a reply today from Remington. They have stopped production of the 148gr LHBWC and the match ammo that they loaded them in.